Home Biblical Christian Articles End-time Prophecy Daniel 11: The ''King of the North'' is the Ottoman Empire! absolutely establishes the "King of the North" as the Ottoman Empire! The squiggles, the birds (some looking one way, some another), the snake-like (or was it slug-like?) lines, the stylized eyes, were all very interesting. There were pictures of what might be feathers, a hammer, and something that could be an upside down umbrella (if you kind of squinted when you looked at it). But they were meaningless! At least, for well over 1,000 years, no one could interpret what they meant. 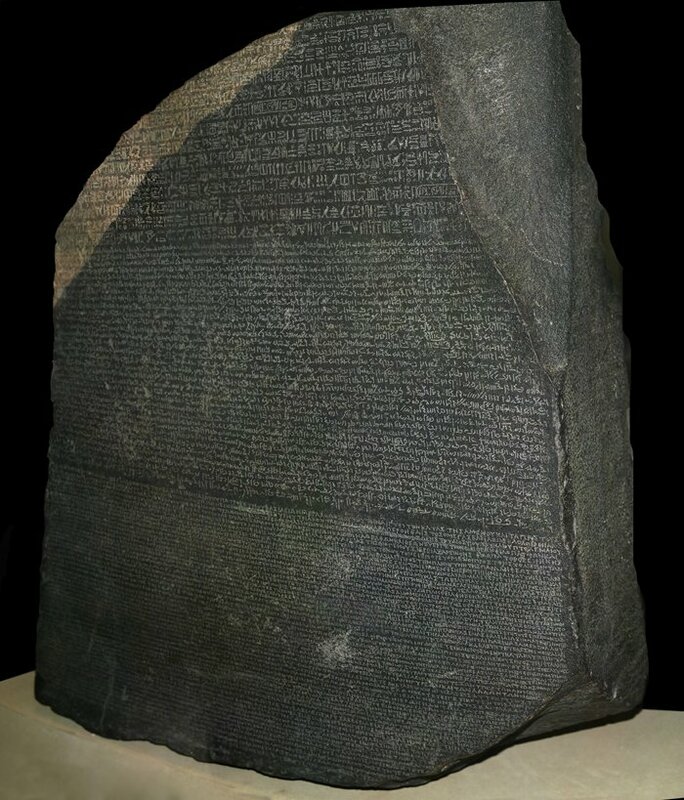 The Rosetta stone provided the key necessary to unlock the meaning of hieroglyphics. Finally, in 1799, a remarkable discovery was made. French soldiers who had invaded Egypt the year before were sent to strengthen fortifications in an Egyptian port city. There, they uncovered a badly damaged stone stele. Lieutenant Pierre-François Bouchard recognized that it was a unique find. The stone was inscribed in three languages: Greek; a rarely seen Egyptian script called demotic text; and hieroglyphics! Here, at last, was a chance to understand all those strange looking squiggles and drawings. Napoleon’s new scientific society, the Institut d'Égypte in Cairo, took possession of the stele. In the ensuing years, the Rosetta Stone did indeed provide a break through in deciphering the meaning of ancient Egyptian hieroglyphics. Linguists had just needed a code, some key to provide an insight into how to interpret the strange markings. Christians studying Daniel 11 have also long needed a code to decipher this passage. The key to unlocking the meaning of this all-important prophecy is geography. The activities described in the prophecy must always be understood in relation to the location of Israel. The “King of the South” refers to Egypt because that is the country south of Israel. The “King of the North” refers to the various political powers that controlled the area north of Israel. When Alexander the Great’s empire was divided after his death, the area directly north of Israel was first controlled by Seleucus, and later by the Roman Empire. Daniel 11 describes the break up of Alexander’s empire and then traces the historical movements of the nations that controlled these geographical locations. This passage is extremely important to everyone alive today. It pinpoints when the close of probation will occur! This portentous event is linked to the time of the end and the time of trouble. A careful study of Daniel 11 reveals that the “time of the end” began in 1798 and the “time of trouble” began in 1922. This means that probation will close very, very soon, possibly within months for 144,000–those who will take the last warning message to the world. The infinite wisdom and foreknowledge of Yahuwah is demonstrated when Scripture is compared with history. The King of the North referenced in Daniel 11:40-45 is the Ottoman Empire. This is proven by the fact that every single particular of the prophecy was fulfilled in history. The “time of the end” began in 1798, as explained in other articles on WLC. The “willful” King described in Daniel 11:36-39, was France/Napoleon Bonaparte. Egypt, under the rule of the Mamluks, disrupted France’s trade with Egypt. This was the King of the South “pushing” at the Willful King. It was not open warfare. Egypt only “pushed at” the Willful King. France responded by invading Egypt. At this time, Egypt was part of the Ottoman Empire. France had been long-time allies of the Ottoman Empire and assumed they would tolerate French presence in Egypt in exchange for French assistance getting the unruly Mamluks under control. This assumption was a costly, and arrogant, mistake. One of the reasons France invaded Egypt was to “strike a blow at British trade by cutting off Great Britain's route to India.”2 It was not just to reestablish French trade with the Far East. It was also to disrupt British trade. The British responded with force. 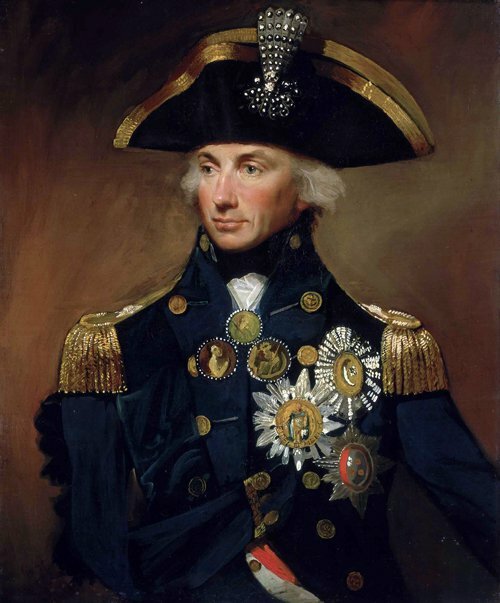 Late in the day on August 1, 1798, Admiral Horatio Nelson literally stumbled upon the French fleet at Alexandria, Egypt, after spending months searching the Mediterranean for it. The French forces assumed the British wouldn’t start a battle just as the sun was setting. It was another costly assumption because the British immediately leaped into action. 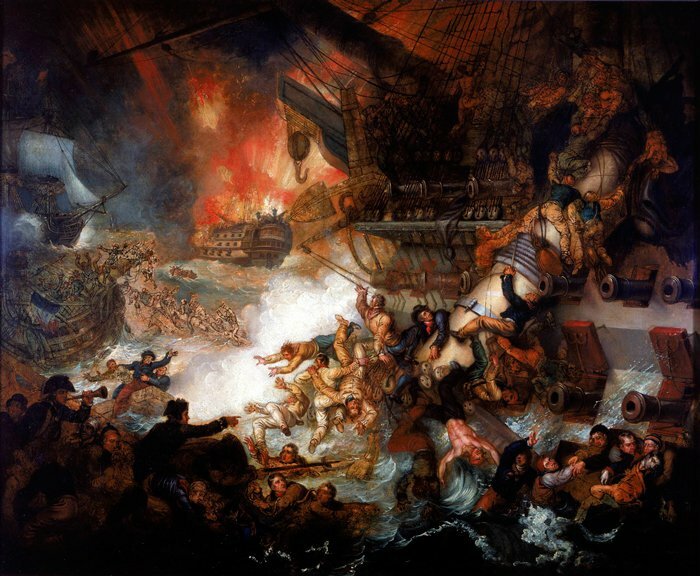 The battle virtually obliterated the French fleet with no loss of ships to the British. This is important to understand because it was this victory by the British that resulted in the King of the North, the Ottoman Empire, coming like a whirlwind against the invading French forces. “The French invasion of Egypt had a major [and long lasting] impact on the Ottoman State.”3 Up until this time France had been allies with the Ottoman Empire. However, the British victory at the Battle of the Nile placed Great Britain in the more powerful, and thus more influential, position. After his devastating losses in Egypt, Napoleon was not prepared to quit his ambitious plans for the Middle East. In late February 1799, Napoleon left Egypt, marching north to Syria. At Acre, he encountered the Turks (Ottomans). The Ottomans, now allied with the British, were supported by a group of British sailors, led by Sir Sidney Smith. Napoleon promptly laid siege to the city. Although Turkey has never been known as a seafaring nation, the prophecy clearly states that “many ships” would be involved in the King of the North’s explosive response. The French fleet had been virtually destroyed the year before at the Battle of the Nile. These “many ships” came from a new alliance, formed as a result of the aggressive military action of the Willful King, France. Russia, although a long-time enemy of the Ottoman Empire, allied with the Turks to fight Napoleon. Napoleon’s aggressive actions had roused the slumbering giant that was the Ottoman Empire. The word8 here translated “countries” has a broader meaning than simply “nations.” It can also refer to fields, ground, or a wilderness. Basically, it conveys the idea of a region. The King of the North/Ottoman Empire, entered many areas it had previously conquered. It overflowed them and passed through them as it responded to the threat of the Willful King, France. The now awakened Turks/King of the North chased Napoleon and his forces south. The “glorious land” here referenced is the same as that referred to in Daniel 11:16. It is Palestine. Napoleon was driven out of Syria, clear down through Palestine into Egypt. There, he abandoned his efforts to monopolize a trade route to India and returned to Europe. In this phrase, “countries” is a supplied word. The original Hebrew simply states: “Many shall be overthrown.” With the aid of the British, the Turks/King of the North again brought Egypt under its control. These military actions were very costly in terms of loss of human life. When Napoleon was driven back into Egypt, the enemy had killed over 1,000 of his men. Six hundred were dead from the plague and 1800 were wounded. The British, again aiding their new allies, transported the Ottoman forces to Egypt in their ships. There, at the first Battle of Abukir in 1799, French forces won the victory in Egypt. However, it was the beginning of the end for French presence in Egypt. The battle cost the lives of an additional 1,000 French soldiers, but the cost to the Ottomans was even higher. An estimated 8,000 Turkish troops were killed. In accordance with the sure word of prophecy, many were overthrown when the King of the North came like a whirlwind against the Willful King, France. The lands here described lay predominantly east of the Jordan River. “The land of Edom was in the desert regions east and south of Israel. Many of the descendants of the these nations spread out into Saudi Arabia.”9 In his efforts to drive Napoleon out of the Middle East, the King of the North/Ottoman Empire focused his attention where French forces were located. This was west of the Jordan. Therefore, all the lands east of the Jordan “escaped out of his hand” in the drive south. A travel journal, written in the 19th century, alludes to the treatment of the Egyptians by the Ottomans, stating: “Read of the atrocities attributed by Sir Robert Wilson to the French, and you will imagine that the only object of our interference was the domestic happiness of the invaded people. Yet, strange to say, the Arabs speak of the French with respect, and of their expulsion with regret.”10 As has often been said, the victors write the history books and this case was no different. Had the French been as bad to the Egyptians as claimed, the Arabs living there would not have regretted their expulsion. Muhammad Ali Pasha was the conduit through which the King of the North had access to the wealth of Egypt. At this time, Egypt was still a province of the Ottoman Empire. Muhammad Ali levied ruinously high taxes on the populace, impoverishing them. Some of this money he sent as a tribute to the Ottoman sultan. Thus, he made the “treasures of gold and of silver” along with “all the precious things of Egypt” available to the King of the North. LIBYANS:The northern coast of Africa was brought under the control of the Ottoman Empire early on. Later, in 1711, Libya became largely autonomous when Ahmed Karamanli, a cavalry officer, staged a coup. He murdered the Ottoman governor and established the Karamanli dynasty, although he continued to pay a token tribute to the Ottoman Empire. This region remained largely independent until 1832. At that time, the Ottoman sultan sent in troops to restore order following the abdication of the ruler. This area, therefore, anciently referred to the land bordering on the south of Egypt. The Libyans and the Ethiopians were perfectly described when said to be at the steps of the King of the North. The King of the North is inarguably the Ottoman Empire. Therefore, “tidings out of the east and out of the north” would be news coming from the east and north of the Ottoman Empire, not the east and north of Palestine. World War I provided Turkey with the diversion, and the excuse it had been wanting, to obliterate the Armenians living within their borders. NORTH: One of the unexpected results of the Willful King/France’s invasion of Egypt, was the alliance of the Ottoman Empire with her neighbor to the north, Russia. The two had been at war for centuries. Literally. The Russo-Turkish wars spanned five centuries and are among the longest lasting disputes in the history of Europe. 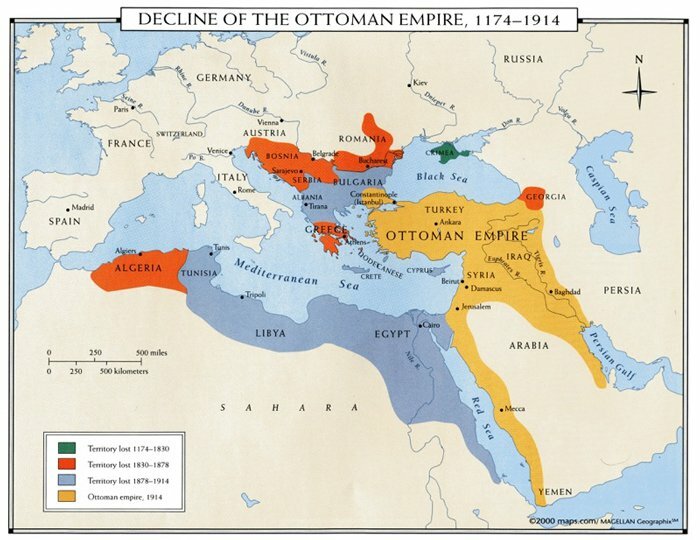 During these conflicts, the Ottoman Empire steadily lost land to the Russian Empire. EAST: Persia lay east of the Ottoman Empire. From 1804-1813, Persia and Russia were at war. “The Persian Army outnumbered the Russian forces in Transcaucasia several times over but was significantly inferior in the art of war, military training, and organization.”15 Persia lost the war and land to Russia. Another war followed in 1826-1828. Again, Russia won. Russia, annexing land from Persia, thus partially encircled the Ottoman Empire, bringing pressure to bear from the north and the east. This was the news out of the north and the east that alarmed the King of the North. A detailed listing of the tensions between the Ottoman Empire and Russia would be too long for the present article. 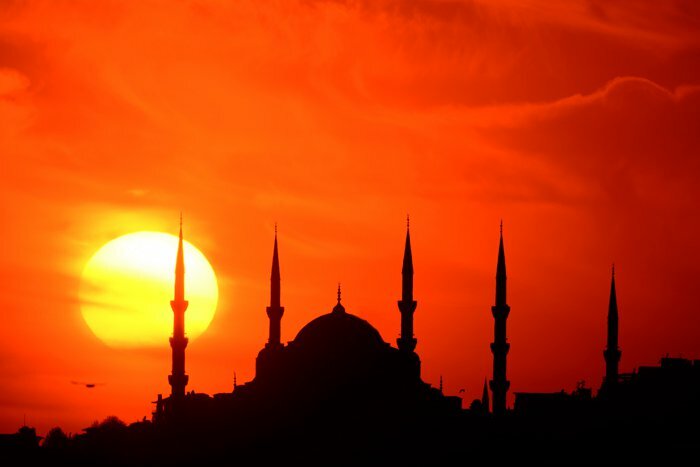 However, some of the tensions were due to religious differences as the vast majority of Ottomans were Muslim while the Russians were Christian. When the czar ordered the Muslims expelled from the North Caucasus, it resulted in a genocide that cost the lives of 1.5 million Muslims. Any survivors fled southward to the Ottoman Empire. This is not unimportant history. These actions can be directly traced back to the King of the South (Egypt) “pushing at” the Willful King (France) and the overwhelming reaction of the King of the North (Ottoman Empire) in response. During and directly following World War I, the Turks were responsible for the Armenian Genocide, the Greek Genocide and the Assyrian Genocide in which upwards of 3 million Christians lost their lives due to suspicion that, as Christians, they were sympathetic to Russia. 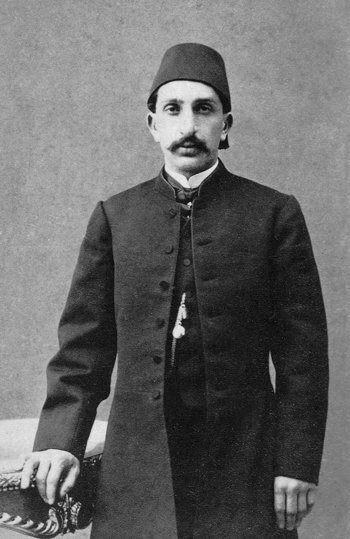 Sultan Abdul Hamid II fulfilled prophecy when he sent officials to govern Jerusalem directly. In this verse, the record of history again confirms the accuracy of prophetic utterance. The Jews, and later the Khazars, had long wanted to gain control of Palestine. In 1897, the Zionist Organization (later, the World Zionist Organization) held the First Zionist Congress in Basel, Switzerland. During this three-day conference, the possibility was discussed of having Jerusalem as the capital of some future Jewish state. But Jerusalem and Palestine itself were still under the control of the Ottoman Empire. Abdul Hamid II, Sultan of the Ottoman Empire and Caliph of the Ottoman Caliphate, responded in a way that perfectly fulfills this text. He sent officials from his own palace to govern the province around Jerusalem. He wanted to retain control of this part of his empire and felt that having Ottoman officials stationed there in Jerusalem would enable him to keep abreast of any attempts by foreign governments to seize the area. Germany had actually won the war and presented England with a fair offer of peace. Had England accepted the peace offered by Germany, millions of lives would have been saved. Instead, something entirely different happened. The international Jewish bankers are what happened. The Zionist Jews funding the war effort wanted Palestine, which at that time was part of the Ottoman Empire. The only way to give Palestine to the Jews was to take it from the Ottomans. In exchange for the United States entering the war, the British promised Palestine to the Jews for a homeland. Arthur James Balfour was the United Kingdom’s Foreign Secretary. He was well aware of the unethical nature of the British agenda to take Palestine from the Turks. In a letter to Lord Curzon, written in 1919, he admitted: “…In Palestine we do not propose even to go through the form of consulting the wishes of the present inhabitants of the country….The Four Great Powers are committed to Zionism. And Zionism, be it right or wrong, good or bad, is rooted in age-long traditions, in present needs, in future hopes, of far profounder import than the desires and prejudices of the 700,000 Arabs who now inhabit that ancient land …”19 The British and various Zionists agitating for a Jewish homeland in Palestine made contradictory promises. With the support of the Rothschild dynasty, they promised a homeland to Jews while at the same time they made promises to the local Arab populace that they had no intention of keeping. Throughout the greater part of the 19th century, a number of Bible scholars suggested the Ottoman Empire was the King of the North. As the King of the North, they predicted the Ottoman Empire would transfer its headquarters to Jerusalem. When the Ottoman Empire dissolved following World War I without this ever happening, many assumed their interpretation was incorrect. This assumption, however, is based on a misunderstanding of the word “tabernacles.” When correctly understood, it is clearly seen that the King of the North is the Ottoman Empire and he did indeed do just what the prophecy foretold. 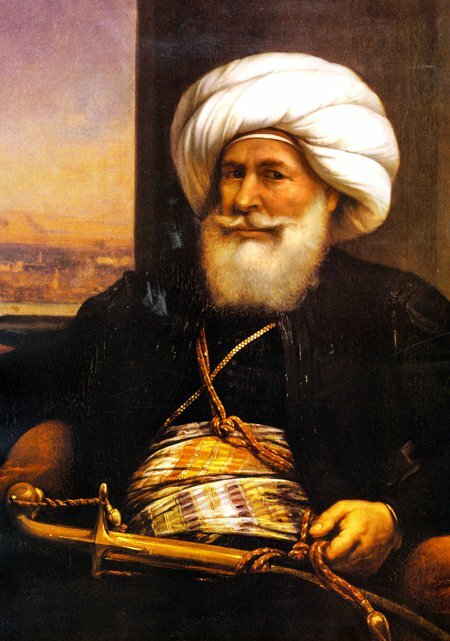 He planted “the tabernacles of his palace between the seas in the glorious holy mountain.” In other words, the Ottoman Sultan established his political presence between the Jordan River, which was to the east, and the Mediterranean Sea that lay to the west. The word “tabernacle” comes from the Hebrew word, ohel. It means: “a tent…covering, (dwelling) (place), home, tabernacle, a tent.”20 The Children of Israel tabernacled in the wilderness. It is the same word used repeatedly throughout the books of Moses to describe both the tent of meeting and the sanctuary. A tabernacle is a temporary dwelling place. It is a tent! It was for this very reason that David yearned to build a permanent dwelling place for Yahuwah. The King of the North had moved the “tabernacles of his palace” to Jerusalem because he feared foreign powers would annex this area of the Ottoman Empire. This is exactly what happened. Following World War I, the victorious Allied powers divided the spoils of war amongst themselves and Palestine was given into the control of the British Empire. 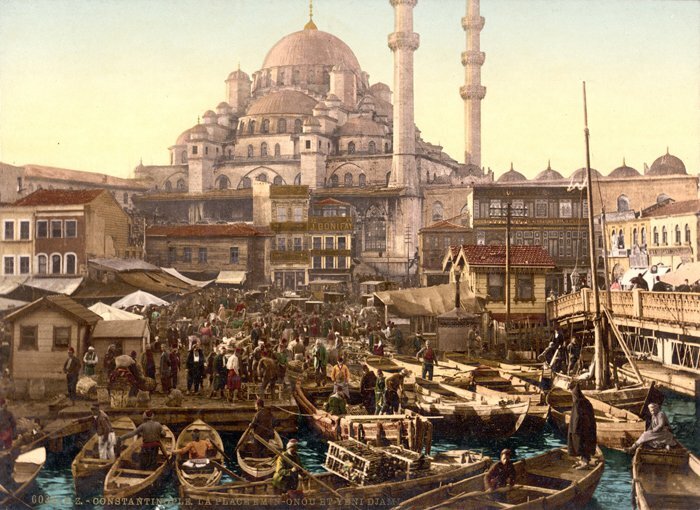 The Ottoman Empire lost territory following World War I but, ultimately, it was not conquered by some other nation. It came to its end internally. 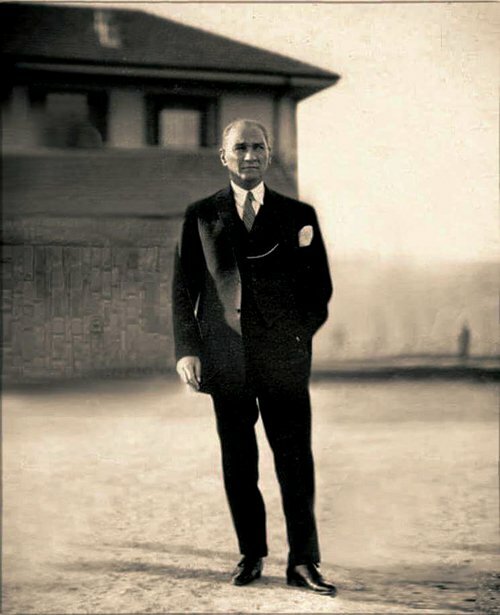 Mustafa Kemal, a Turkish military officer, abolished the Ottoman sultanate and, later, the caliphate, establishing the modern Republic of Turkey. Fully 99% of Turks are Muslims, and yet, intriguingly, Turkey is not officially a Muslim nation. Mustafa Kemal Atatürk gave the Ottoman Empire (and Islam) a deadly wound from which it has never—and from which it will never—recover. The King of the North had come to his end and none helped him. Turkey has fulfilled its destined role in prophecy. Some people are still looking for further developments in the former Ottoman Empire. However, there is nothing more to be fulfilled in the prophecy of Daniel 11. The King of the North came to his end in 1922 after the European powers that had been backing him withdrew their support. The entire build up of Daniel 11 was for one purpose and one purpose only: to identify for the final generation when probation will close! Just as the “time of the end” began in 1798, the “time of trouble” began in 1922. Anything more that occurs in Turkey falls within the parameters of the time of trouble. Wake up! This is the time in which we are now living! Probation will be closing soon! There is but a single event standing between that solemn event and us: the sounding of the trumpets. Trumpets sound to announce or warn, and that is what these trumpets do. They are given to draw attention to the close of probation. They will be the worst scourges to ever fall on mankind up to that time. Their purpose is to awaken souls because what comes after the close of probation, the seven last plagues, will be so bad that, if Yahuwah did not preserve His children through it, there would be no life left. Infinite mercy wants every soul awake, aware, and capable of making intelligent decisions. The trumpets are what will draw the attention of every person living on the face of the earth to the truths they need to know to get ready for the close of probation and the Second Coming. Now, in these closing moments, make a full surrender to Yahuwah. Search your heart. Lay aside every impediment and, with full assurance of faith, grasp the promised salvation. 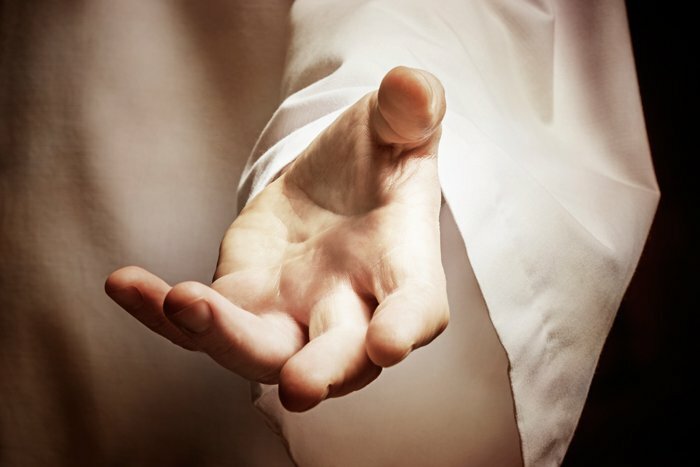 His hand is reaching out, longing to grasp yours and pull you to safety. Won’t you reach out to the best friend you will ever have? 1 All Scripture is taken from the King James Version of the Bible. 3 Güven Dinç, “The Ports of Cyprus and the French Invasion of Egypt (1798-1801),”Mediterranean Studies, Vol. 24, No. 1 (2016). 5 John Stevens C. Abbott, The Life of Napoleon Bonaparte, pp. 102-103. 7 http://www.inlightofprophecyfulfilled.org/studies/pdf/articles/KON/KON_Part3.pdf , p. 3. 8 Erets, (#776), Strong’s Exhaustive Concordance. 10 Richard R. Madden, Travels in Turkey, Egypt, Nubia and Palestine in 1824, 1825, 1826 & 1827, p. 173, emphasis supplied. 18 Click here for more information on the Balfour Agreement and the events leading up to it. 20 See Strong’s Concordance, #168. 21 Harold Temperley, England and the Near East, p. 272.